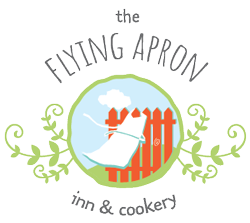 Easter Brunch Buffet is an annual tradition at The Flying Apron Inn & Cookery! Bring the whole family! Call to book your table 902-633-2300. Credit card confirmation required at the time of booking. Cancellation policy is 72-hours prior to reservation. Add a room on Good Friday for just $115+HST with our Easter Room Special!